iChat is dead—long live Messages. With Thursday’s announcement of Mac OS X Mountain Lion comes the news that iChat is being upgraded and renamed to Messages, with support for the iMessage chat system introduced with iOS 5. I’ve spent the past few days using Messages and Mountain Lion. 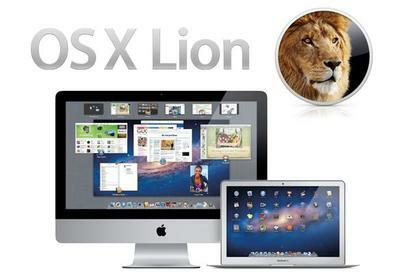 Here’s a first look, keeping in mind that Mountain Lion won’t be released for months, so features are in flux and could change. The feature that transmogrifies iChat into Messages is support for Apple’s iMessage chat system. Apple says that in the few months since iOS 5 arrived, there have already been 100 million registered iMessage users and more than 26 billion iMessages have been sent. When Apple introduced iMessage, people focused on how it’s similar to the SMS text-messaging system on phones. And yes, it’s cool that iPhone users can send text and multimedia files over the Internet without any of the per-message charges that wireless carriers levy for texts. But that misses the bigger picture: By using the Internet instead of the cellular system, devices that aren’t phones can join the party. 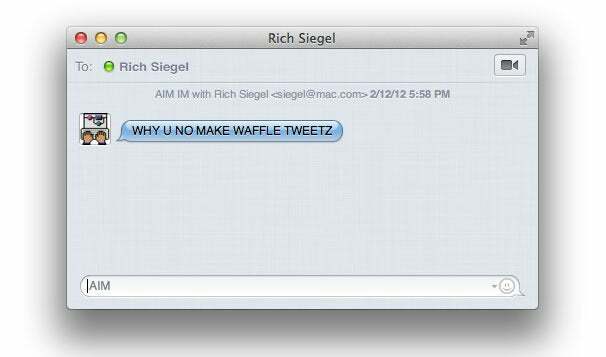 iOS 5 gave the iPad and the iPod touch iMessage capabilities too, and now it’s the Mac’s turn. iMessage supports some nice extra features such as the ability to (optionally) send information about whether you’ve received and read a message, and when you’re in the process of sending a reply. To send a message to someone using iMessage, you need to know their Apple ID (which is usually based on their email address and may also be their iCloud username). Using the iMessage system, you can send text, pictures, and other attachments. If you need to talk with more than one friend, there’s even support for multi-person chats. It’s all encrypted, and it works no matter if you’re on an iPhone, iPad, iPod touch, or a Mac. And if you’re logged into iMessage on multiple devices, your conversations will go with you—you can start a chat on a Mac and end up on an iPad, with your entire conversation available for reference. Though the name is now Messages, the features of iChat are more or less intact. The app still supports AIM, Yahoo, and Jabber protocols. (Since Google’s chat system uses Jabber, Messages therefore supports Google Talk, too.) There’s still a buddy list and still support for audio and video chats via those services. iChat Theater is still there, too—it’s just called Theater now, and is accessible once you start a video chat from the Buddy List. The major interface change in the upgrade from iChat to Messages is the new Messages window. This is a new, persistent window that collects all your currently-active conversations, regardless of which service they’re on. The right side of the pane is a chat window. There’s nothing too dramatically different here, though when someone’s typing you’ll see the same thought-bubble icon that’s on display in the iOS Messages app. The text-entry box at the bottom of the pane displays what service you’re using for this particular chat, until you begin typing. At the top of the pane, there’s a camera button that gives you quick access to video chat. FaceTime is the primary objective here: Messages will show you every phone number and email address for the person you’re chatting with, in hopes that one of them will be valid for FaceTime use. If you just want to use AIM to chat with them, you have to scroll down to the Other submenu and then pick an account. While Messages links to FaceTime, it’s important to note that Messages doesn’t actually do FaceTime. When you select a FaceTime address and initiate a FaceTime session, Messages opens the FaceTime app and initiates the connection. The two apps remain separate. Mixing support for iMessage and traditional IM services in one app does lead to some interesting asymmetries. For instance, there’s no concept of a “buddy list” for iMessage—to chat with someone via iMessage, you create a new message and type in their name. I’m not sure Apple wants anyone to think of iMessage as just another instant-messaging service, but I do see the appeal of building a list of my favorite iMessage chat recipients (and possibly being able to tell at a glance if they’re available to chat). There’s also the question of iMessage alerts across devices. Anyone who’s had both an iPad and an iPhone hooked up to iMessage will already know about this phenomenon: Every time someone sends you a message, all your iMessage-enabled devices will beep, and new notifications appear. When I chatted with a friend using Messages on a Mac, my iPhone and iPad were beeping repeatedly, every time the friend replied to a message of mine. There’s probably a better way to handle situations like this. There’s no telling how much Messages may change and grow in the months between now and its final release as a part of Mountain Lion. But even in beta form, it’s an exciting update that most iChat users will want to try. With Messages, Apple’s finally brought all of its hardware into a single, unified text-messaging universe. I expect usage of iMessage to soar in the months ahead.